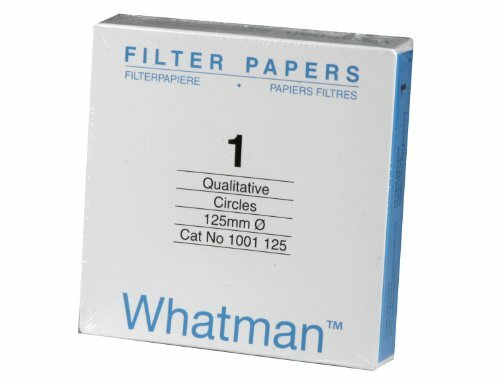 This Whatman 12.5cm, grade 1, cellulose filter paper is the most widely used filter paper for routine applications with medium retention (11µm) and flow rate. Traditionally, this grade is used in qualitative analytical separations for precipitates such as lead sulfate, calcium oxalate (hot), and calcium carbonate. In agriculture, it is used for soil analysis and seed testing procedures. It is also used for numerous routine techniques in the food industry to separate solid foodstuffs from associated liquid or extracting liquid; and is widely used in education for teaching simple qualitative analytical separations. In air pollution monitoring, using circles or rolls, atmospheric dust is collected from airflow and the stain-intensity is measured photometrically. For gas detection, the paper is impregnated with a chromogenic reagent and color formation is quantified by optical reflectance. Retention: 11µm. Diameter: 12.5cm. 100/Pack. 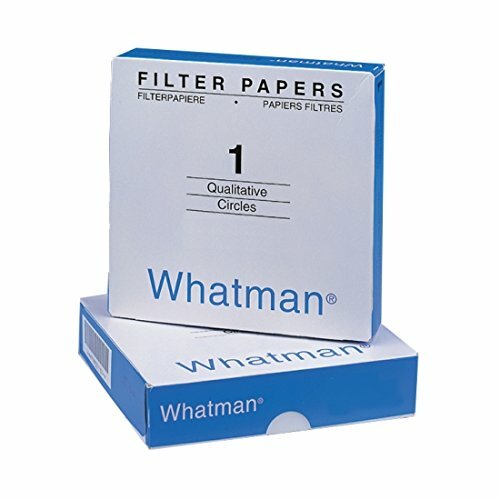 Whatman #: 1001-125.